The listed products are our standard products. In addition we can also supply products made to customer specifications. Hycail Medical cellulose is ultrapure cellulose with an open pore matrix structure. The material is biocompatible and the structure gives the material excellent bioactive properties. The material is an ideal matrix for attachment, invasion, growth and division of living cells. The material is an excellent aid in minimizing animal test models and in reducing use of test animals. The material is a research use only product. 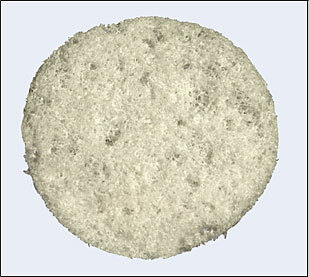 -Celldisc, 2 x 10mm ultrapure cellulose matrix disc. -CML is a pure high molecular weight PLA without any additives, especially developed for medical and life science research where no additives are allowed. -HM is an affordable high molecular weight PLA with added colorant for improved visual appearance. 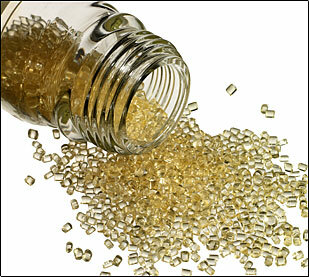 -D-PLA is a PDLA polymer made of 100% D-lactic acid. -SCL is a stereo-complex PLLA-PDLA with different L/D polymer ratios combined to give improved heat stability with a melting peak over 190°C.